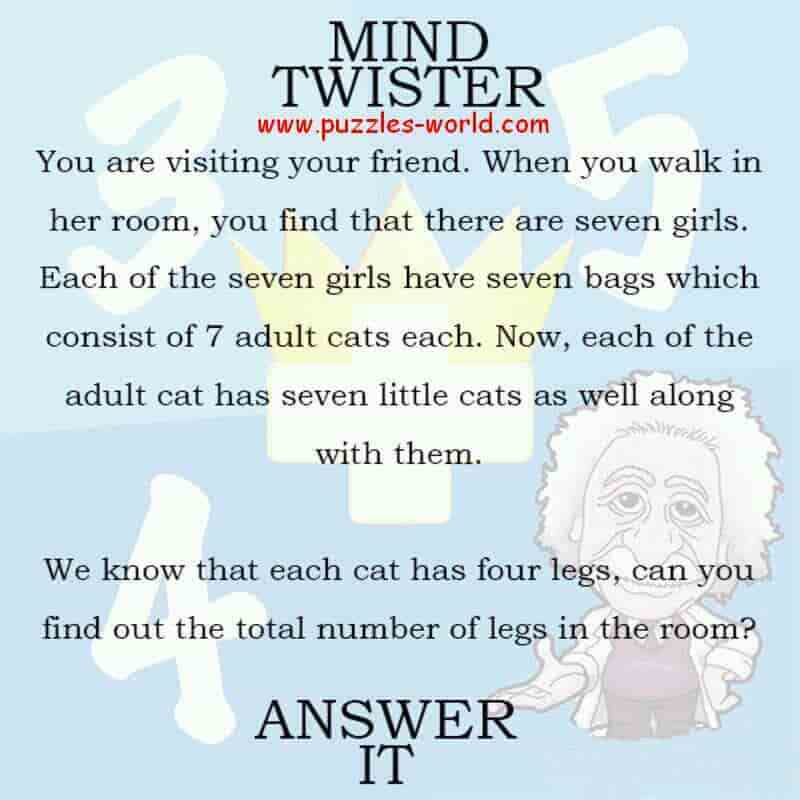 Can you find out the total number of legs in the room ? You are visiting your friend. you find that there are seven girls. which consist of 7 adult cats each. Can you find out the total number of legs in the room? 10992 Legs in the room.